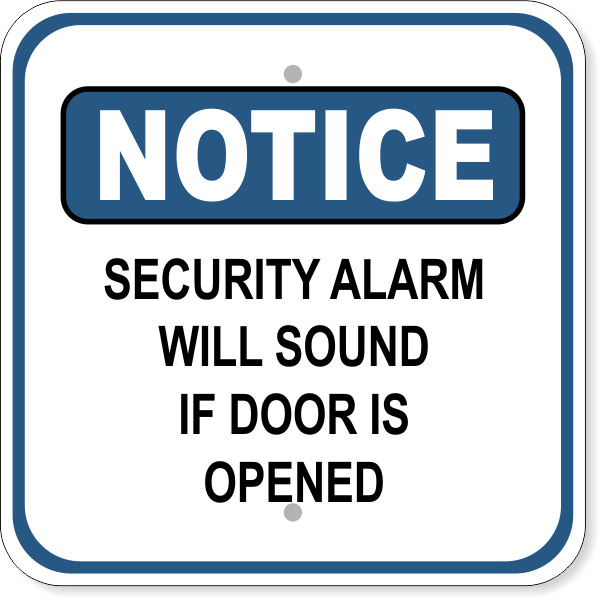 Avoid costly daily disruptions from the sound of the alarm ringing in your ear by posting these SECURITY ALARM WILL SOUND Notice Signs on doors in your building. Teachers can teach without interruption, businesses can make sales freely, and you can go about your day without worrying about unnecessary alarm notifications. Purchase these pre-drilled Notice Signs from us now!